This months newsletter from Nexus addresses a couple of areas that affect the bottom line of the coating process. The first is a guest author publication from Warren Boomer, Thin Film Partners, and tackles the thorny issue of why Parylene costs so much compared to other conformal coating processes? Although we all know in general it is the top performance coating in most areas it is an expensive process! Warren looks at the issues and identifies a few areas that you may be able to reduce your costs. The second article is by myself regarding choosing the right conformal coating equipment. This is not an easy task. There are lots of suppliers and options now whether you choose robotic spray, dip, batch spray or another technique. Even after selecting the right method you have to then decide on the right options that will make your conformal coating process work the best for you. Its not that simple! Also, this month we added some major updates to the eBook. Take a look around and use our Start Here page if you need some help on this. Finally, we also added in a downloadable guide to Solving conformal coating problems in the application process. You can download it here from the newsletter now. I hope you find the content helpful and let me know how we can improve the experience for you? Choosing a process for coating your circuit boards may seem simple. But, choosing the wrong process can cost a lot of money and is easy to do. There are at least 6 different standard methods for applying coatings. This doesn’t include the specialised processes either. Understanding which technique is the right one for your circuit board, process and company can make a huge difference to the bottom line. Want to understand your conformal coating process problems? Download our NEW guide now. Normally, problems relating to conformal coating can be broken down into two areas. Those areas are problems associated with conformal coating processing and problems in the short, medium and long-term reliability of the circuit board or product coated. The Nexus guide focuses on troubleshooting the problems associated with conformal coating processing and production. 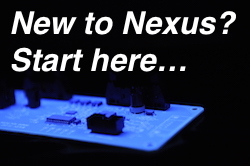 The Nexus conformal coating video guides give direct guidance on many processes, allowing users to see directly through images and commentary how to develop best practice. 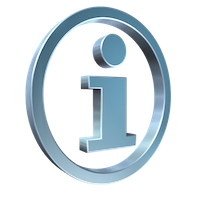 The video guides look at many areas including key topics such as application methods and practical masking techniques. Click video guides to find out more.